One of the many strange things humans do is dare each other to eat unpleasant things. You can find videos on YouTube of people downing something stinging (e.g. mustard, wasabi), acidic (lemon or lime juice), or spicy (chili powder), all for a small sum of money, or maybe just peer admiration. Sometimes the dare involves a quantity rather than a quality of food (a whole cake, six hot dogs). Of course, the most entertaining involve eating animals–cicadas, cockroaches, worms. The eaters are most often younger males of the Homo sapiens species, and they usually seem to fare OK once the moment of ingestion is over, and digestion has begun. But sometimes these experiments don’t turn out so well. In 2010, a man in Sydney, Australia nearly died after contracting a rare lungworm from a slug he ate on a dare. And in 1979, an Oregon man did die from eating, while drunk, Taricha granulosa, the rough-skinned newt, which carries in its skin one of the most exquisitely toxic substances known. Tetrodotoxin is a potent neurotoxin that binds to and blocks the sodium ion channels that regulate our heartbeat. Essentially, it prevents the heart from beating. Evolution certainly is a strange force, to produce both toxic newts and male humans who occasionally choose to eat them. It’s pretty clear why the Taricha newts would have evolved to carry this poisonous defense. Newts are small and soft-bodied, and could make an easy meal for a snake or other predator. But the newt only benefits from carrying this toxin if predators know to avoid it before chomping down. And for that purpose, Taricha granulosa has evolved a bright orange belly (orange and red are nature’s standard toxicity warning signs), as well as a back-arching behavior known as “unkenning,” which exposes the bright underside to predators. For some nice close-ups of Taricha granulosa, check out the Backyard Zoologist’s blog post on these critters. But wait! There’s more to this story. It seems that newts may not produce tetrodotoxin themselves–they may outsource this job to a set of bacteria. Tetrodotoxin is found in widely varying parts of the animal kingdom–sea stars, flatworms, blue-ringer octopi, and pufferfish, among others. It can serve as a predatory toxin as well as a defensive one. It seems likely (to me, at least) that it would have evolved once in bacteria and perhaps been shared through horizontal gene transfer, rather than evolve many times in animals. The question then becomes, what benefit do the bacteria receive for protecting their diverse hosts? Presumably they get a home and some nourishment, but I’m not sure the precise answer is known. Even the bacterial synthesis of newt tetrodotoxin seems to be uncertain, for now. But if true, it is a beautiful example of symbiosis–of tightly co-evolved species helping each other survive in an uncertain world. Meanwhile, the same species that has been puzzling out the secrets of newt toxicity has also evolved a propensity to engage in risky–and sometimes stupid–behavior, like newt ingestion. And it does seem that males of this species engage in this kind of behavior more readily than females. In a paper that came out in 2008, two evolutionary psychologists found that males were more likely to cut it close when trying to catch a bus, and to take risks when crossing a street–especially if women were watching. What benefits might accrue from all this risk taking–besides the hope of getting a date? Nowadays, it seems, risk taking is best known for getting us in trouble–refer to the economic collapse of 2008 (caused mostly by men) for more details. But risk taking throughout history has also has its rewards–often spectacular ones. Elizabeth Kolbert, in her profile of Svante Pääbo in the New Yorker last August, explores the idea that it may have been risk taking may have set humans apart from Neanderthals. Neanderthals, it seems, spread until they reached “water or some other significant obstacle.” Humans kept going. Did the newt get a free pass in the game of chomp, once it teamed up with toxin-producing bacteria? Hardly. There is an animal that can eat the Taricha newt and live to tell the tale–the garter snake Thamnophis sirtalis. Somewhere in evolutionary history, a chance mutation produced a tetrodotoxin-resistant sodium channel, which, as Ed Yong nicely put it, “open[ed] up an exclusive menu of newts unavailable to other predators.” There is a cost though–snakes can be immobilized for up to seven hours while digesting a newt, making them possible prey for another animal. But again, there’s more. Scientists recently learned that some populations of the garter snake have evolved to become more resistant to tetrodotoxin than others, and don’t need to undergo such a long period of immobility. In fact, these snakes are now so resistant that the researchers believe the newts will not be able to evolve a higher toxicity level to match. But this too comes at a cost–the highly resistant move slower in general, perhaps giving the newts the opportunity to run away more easily. The scientists publishing these results describe the newt toxin/snake resistance co-evolution as an “arms race,” and posit that the snakes have temporarily escaped from the race. But what if we instead consider the metaphor of a chess game, where each species makes its evolutionary move (newt: form symbiosis with toxic bacteria; snake: develop resistant sodium channels), and waits for its opponent to counter? I like this metaphor, because it suggests a very close co-evolutionary bond, like two competitors sitting across a table. The question then becomes, have the snakes checkmated the newts, or do the newts have another move in store? The garter snake that survived the newt toxin clearly benefited from its risk-taking. We humans have also benefited enormously from ours. We have colonized almost every habitat on earth, our average life spans have more than doubled, and our material living standards have increased immensely. And yet, we are taking larger risks than ever before with the very resources and ecosystems that sustain us. Natural communities depend on ancient co-evolutionary associations that are often finely matched to each other, and we are changing these balances, often drastically–akin to removing pieces from the chessboard, if you will. How long can we continue tampering with the game before we make our planet toxic to all life, including ourselves? Only time will tell. We humans long outlive most of the species we interact with. Our cats and dogs accompany us for about fifteen years at most; livestock rarely make it more then a few; our garden annuals live, by definition, only one season. Many of the insects that bug us in summer will be gone within weeks, having done their evolutionary duty and spawned the next generation. Our environment is a bustling funeral parlor, and we the unknowing bystanders to a hectic daily schedule of corpse deliveries, wakes, burials, and rebirths. But then there are the trees. Trees have figured out the longevity game. The longest-lived individuals on earth are trees over four thousand years old; if you count clonal tree colonies like aspens, you can go back at least 80,000 years. Even our familiar oaks can easily outlive us by a factor of five or more, under good conditions. Trees have achieved this Methuselan longevity by trading mobility for rootedness, making the implicit (and until humans came around, mostly reasonable) assumption that conditions aren’t likely to change drastically within a lifetime. By staying in one place, trees can grow roots that extend far below ground, allowing them access to deep stores of water and nutrients that nurture them through centuries of floods, droughts, and whatever else nature throws at them. Unfortunately, conditions are changing, and fast. Scientists predict that the carbon dioxide and other greenhouse gases we are putting in the atmosphere will lead to an increase in average annual temperature in Wisconsin of around 6.5 degrees Fahrenheit by 2055, relative to 1980. Depending on how voracious our appetite for fossil fuels continues to be, and whether global warming triggers various positive feedbacks leading to more greenhouse gas emissions, we could see future warming on the same scale. Plants that have been used to relatively stable conditions for millennia will suddenly need to “move” north, not by packing up and walking, but by throwing their seeds as far as they can and hoping they produce offspring. The scientific term for this is dispersal, and for trees it is typically limited to a few miles, or less. Ecologists talk about “climate envelopes” in which different species can live. For trees, these can be vast areas, or relatively limited niches. As the planet warms, tree climate envelopes in the Northern hemisphere will shrink and shift north, in many cases by hundreds of miles, according to a 2007 paper in the journal Bioscience. Tree seed dispersal, on the other hand, seems to be limited to around 30 miles per century–not likely to be a winning pace in the race against warming. The good news is that climate change alone will not doom most (or perhaps any) of Wisconsin’s trees to total extinction. However, species like black spruce, balsam fir, and paper birch may be packing up and leaving the state for good in the near future, according to the Wisconsin Initiative on Climate Change Impact’s 2011 report. The northern forests of Wisconsin are already at the southern edge of these trees’ ranges, and sometime later this century they will no longer find this state a hospitable home. In southern Wisconsin, tamarack swamps–an ecosystem already beset by multiple plights–may fall victim to warming as well. Other species will be more than happy to take the places of the departed, but the biodiversity represented by native ecosystems will never be replaced. The aforementioned oaks are having problems of their own. Southern Wisconsin, especially around Madison, used to be a mix of prairie and oak savanna. 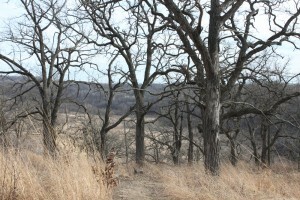 Prairies need periodic fires to suppress tree growth; otherwise they soon become forests. 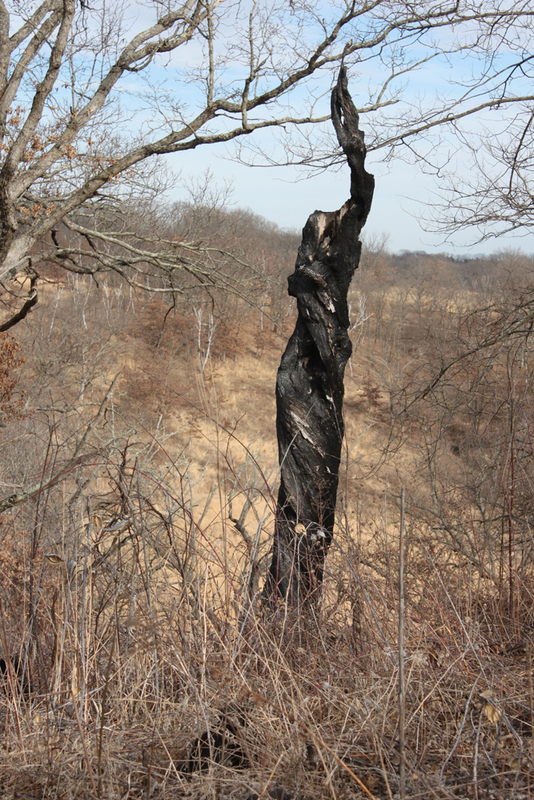 But bur oaks, with their “thick crust of corky bark” (in Aldo Leopold’s words), are one of the few trees that can withstand these fires. Fire and oak together created a unique ecosystem that is now one of the most endangered in the United States, according to The Vanishing Present, a book co-edited by University of Wisconsin botanist Don Waller. The European settlers who arrived in the middle of the 1800s, naturally not wanting their crops to burn down, suppressed the fires that had kept the prairie open for ages. And suddenly successional, fire-intolerant species started growing in places where they never could have gained a foothold before. But things change slowly in the world of trees, and it takes a trained eye to notice. We still have oak forests, but they are old now–oak seedlings are few, and grow mainly on poor soil. Good historical data can also help those with trained eyes describe the world around us today. Waller and co-authors described in a 2008 article in the journal Ecology a survey they conducted of sites that had also been surveyed in 1950. 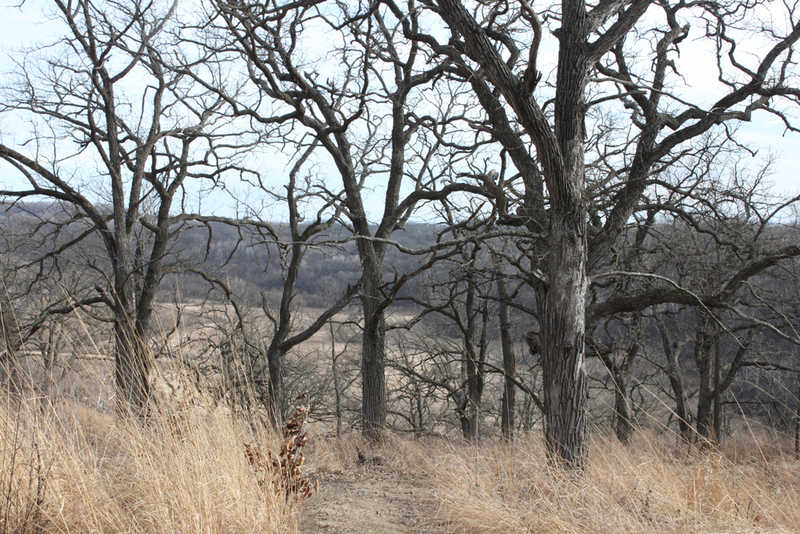 The scientists found that oaks have declined across Wisconsin, while maples, elms, basswoods, and others have increased. More significantly, perhaps, they measured a loss of biodiversity across all their sites–a harbinger, it seems, of things to come. In the end, we will pass on from this life, and trees of some kind will bear witness. But what kind of trees they are matters. Trees have been the anchors of ecosystems since ancient times, and when they are gone, the lichens, understory plants, insects, and other animals they sheltered will not just be able to make their home in whatever kind of forest comes next. Many of them will have to move elsewhere, or perish. It seems we are looking at a simplified biological future with a relatively small number of winners, and a lot of losers. 1. Begin procrastination. Tell yourself you need to get your other work done so that you can clear your mind so that you can be creative, and besides, it’s not really procrastination if you’re doing other work. Moreover, James Surowiecki admitted he procrastinates on his writing assignments, and he writes for the New Yorker, so surely you can, too. By the way, did you know that the root of the word “procrastinate” is from the Latin word for tomorrow? I didn’t either, until just now. I think it’s brilliant. 2. Realize that you will never get your other work done. Open computer. Check email. Check New York Times website. Read story about ancient horse that shrank during a period of warming 56 million years ago. Note that one of the scientists quoted in the story is named Koch, and start thinking about the Koch brothers (presumably unrelated), one of whom funded the David H. Koch Hall of Human Origins in the Smithsonian’s Natural History Museum. Remember how annoyed you were that this exhibit spun past climate change as an important driver of human evolution. Wonder how David H. Koch would spin the shrinking horse. Remember Jane Mayer’s New Yorker article in which she quotes the museum’s director saying Koch was “completely hands off.” Scoff. 3. Close browser; open word processing program. Stare at blank white rectangle. Wonder about the neurological basis for writer’s block. Discover that this, too, has been discussed in the New Yorker. Evidently at least one neuroscientist believes we may soon be able to cure writer’s block by magnetically stimulating parts of our brain. Rejoice. 4. Read other list stories for inspiration. Then remember beautiful list story from Aldo Leopold’s Sand County Almanac, in which he uses the rings of an oak tree he saws through to tell the history of his land in reverse chronological order. Find book; find story; reread story. Wish you were enough of a woodsman and Wisconsin natural historian to update Leopold’s list for 2012. Make note to self to return to this topic in 20 years, and to go to the Sand County Almanac reading at the UW-Madison arboretum this weekend if you can. 5. Wonder if Aldo Leopold ever wrote for the New Yorker. Conduct search, find nothing. 7. Have brilliant idea: the numbers in your list can be the world’s human population, progressing along a logarithmic scale (1, 10, 100, 1000, etc), and the elements can describe conditions on earth at the time. Realize you have no idea what was happening when world’s population was any of those numbers. Besides, remind self that somewhere along the way we became part Neanderthal, as discussed by Elizabeth Kolbert in a recent (you guessed it) New Yorker article. 8. Realize you’ve written a list story. Wonder why ideas worth writing only surface at midnight or later. Go to bed.